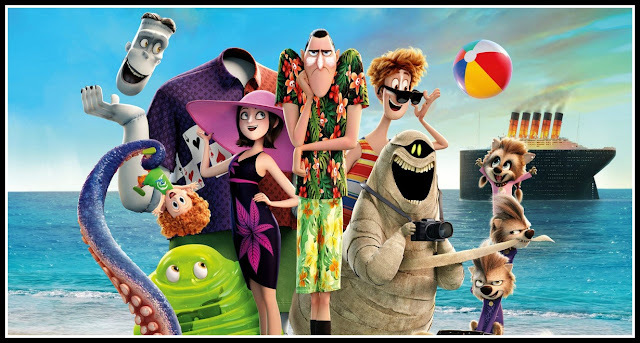 Have you seen Hotel Transylvania 3 yet? Somehow, between vacation and camps, we missed it when it was in the theaters and I've been waiting for the release date so we can watch it at home. 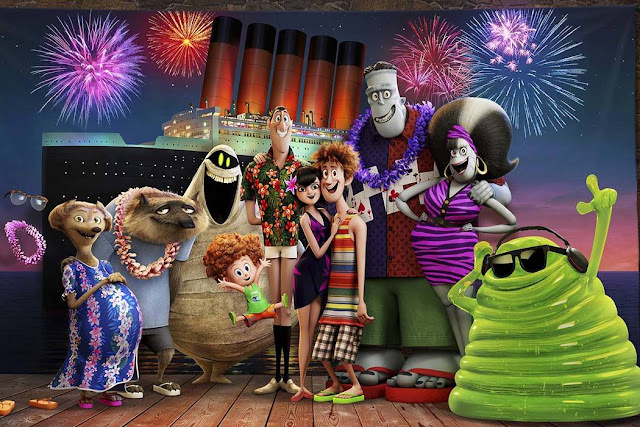 I promised the kids that we'd enjoy a Hotel Transylvania 3 movie night when we got the movie, like we did for the two previous editions, and I wanted to kick it up a notch with some fun foods and crafts. 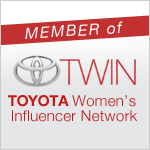 Check out all the ideas to plan your own movie night for your family. In the latest installment in the Hotel Transylvania series, Mavis surprises Dracula with a family voyage on a luxury, haunted monster cruise ship. Of course, the rest of the Drac Pack has to tag along, and that’s when things get a little…batty. 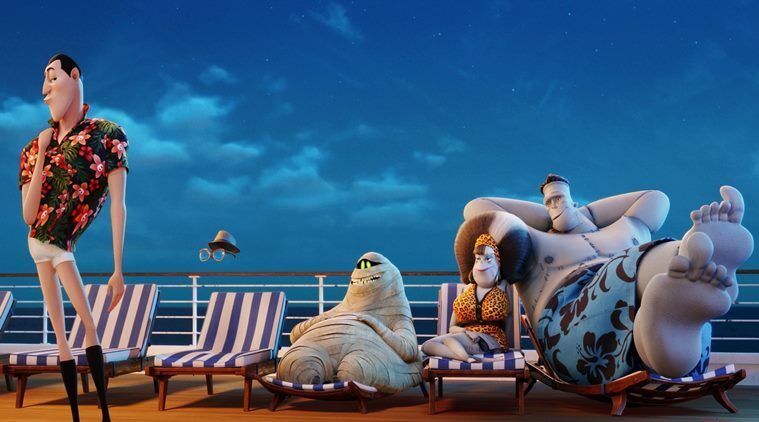 The monsters are having a great time, indulging in all of the shipboard fun the cruise has to offer, from monster volleyball to colossus-sized buffets and exotic excursions, but then the unexpected happens when Drac falls for the ship’s mysterious (and dangerous) human captain Ericka. Monster Munch Popcorn Mix from Elevate Everyday is the perfect sweet and salty treat. These Monster Apples from Parenting Chaos are so cute! Plus, I love that they aren't complete candy/sweets. Green Monster Pretzels from Totally the Bomb remind me of Blobby from the movie! I love these Monster Marshmallow Pops from Made to Be a Momma, so cute! English Muffin Mummy Pizzas, like these from Simply Being Mommy, are a go-to in our house for anything spooky. Hotel Transylvania 3 inspired slime from the Lady and the Blog is everything you could want in slime. I am especially partial to the Blobby one. I love tote bags and these Hotel Transylvania character inspired totes from See Kate Sew are just adorable. 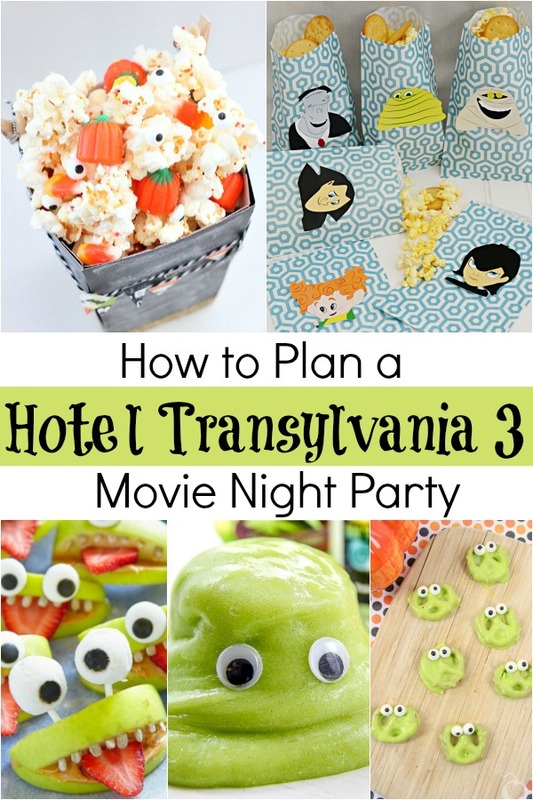 Make Hotel Transylvania snack bags for your movie snacks, with this printable from Housewife Eclectic. Add some coloring fun with these Hotel Transylvania Coloring Pages from In the Playroom. Unwrap Murray the Mummy with this fun mummy party game from Kid Friendly Things to Do. I want to make this Monster Bowling set for myself, it's awesome! 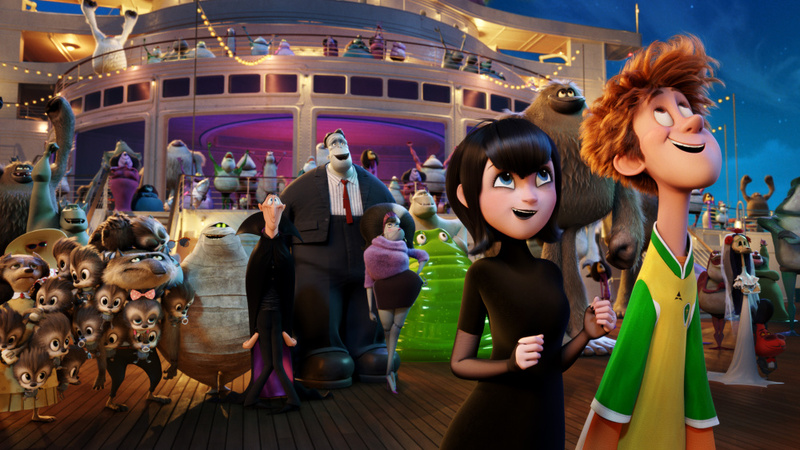 We also are so excited that Hotel Transylvania 3 is available today (9/25/18) on digital release! And, the DVD and Blu-Ray combo packs will be in stores on October 9, 2018 too. There are even more tips for planning your own Spook-tacular Sleepover party in the exclusive clips. I've only seen the preview, so I can't wait to see all the other suggestions and details. We also have a sneak peak at some of those of the great Hotel Transylvania 3 party ideas. Just click the graphic below to get your copies of how to make Dracustraws and Drac's Spooky Smoothie Recipe. I am so excited to have a fun night with the kids, especially with the extras included with the movie--Monster Dance Party Dance Along, Three All-New Scary-Oke Sing Alongs, a Vampire Make Over Tutorial, Two Mini Movies, and more! 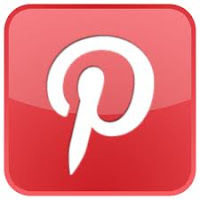 Are you inspired yet? Not only are these ideas perfect for a family movie night, but they're great for Halloween parties too! Which are your favorites?